Karl Lagerfeld: Eccentric white-haired Creative Director of the Chanel fashion house. Fond of wearing black outfits with sunglasses and of ‘Choupette Lagerfeld’, his pet cat – an animal with over forty thousand Twitter followers. Karl Marx: Eccentric white-haired bearded theorist and writer. Also mostly pictured wearing black suits. Godfather of anti-capitalism and, despite dying in 1883, recently experiencing a revival thanks to the global financial crisis. But what does Karl Marx have to do with Karl Lagerfeld? Is it only German heritage and the dedication of their followers that links these two Karls? Why talk about them in the same article? What does fashion have to do with anti-capitalism? The aim of this article is to give an overview of the fashion industry by exploring how it has been shaped by neoliberalism and blind faith in the markets. What does a deregulated industry look like, what is its impact upon people working inside it and for our planet’s natural resources? Where are the billions of dollars created by the industry going? Additionally, this piece looks at why individualised solutions –like shopping differently–are proffered as the answer for solving matters like environmental destruction and workers’ rights violations. Fashion is ‘capitalism’s favourite child’. As far back as 1690, the economist Nicholas Barbon praised fashion for its ability to ‘dress a man as if he lived in a perpetual spring – he never sees the autumn of his cloth’. Unlike other commodities, replaced only once they had worn out, the fashion cycle meant clothing was replaced long before it was necessary. Rather than use value, fashion relies heavily on symbolic value and thus, for Barbon, was ‘the spirit and life of trade’. 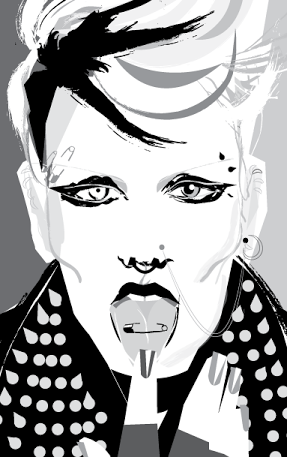 More than three centuries later, fashion runs on a cycle that would make Barbon dizzy. High street shops replace stock up to fifty-two times a year, producing weekly opportunities for new clothes. This accelerated process has been labelled ‘fast fashion’ – a business model that consists of the expedited production and distribution of short runs of trend-based fashion. Short runs of stock means pressure to buy is increased, since traditional seasonal sales of these items do not happen. Quickly shifting mass quantities of stock requires it to be sold at a low price, which in turn means it must be made as cheaply as possible. Brands thus sell clothes that are not of the highest quality, also ensuring that they will wear out and that you will be forced to buy new ones. What has therefore been created is a deregulated, subcontracted, trend-based industry that relies on selling billions of short-life units every season at a maximum profit. This build-up of pressure from short turn-around times and low costs results automatically in intense exploitation of both people and resources in the supply chain. Where once the UK and the United States were key manufacturers of apparel, production has now shifted overseas. Fashion retailers do not own the factories where their clothes are made; instead, they hire manufacturers, who hire contractors, who hire subcontractors, who hire garment workers. It is this extreme level of subcontracting that has allowed retailers to attempt to distance themselves from factory conditions. In fact, as the most powerful player in the fashion system, they have almost total control over factory wages and are directly responsible for the industry’s exploitation. To have clothes produced so cheaply, manufacturers look for labour markets with large urban workforces where wages are very low and where there are few or no pension, healthcare or insurance obligations. Manufacturers also seek out countries where there is little to no democracy, where organisations like trade unions are either outlawed or curbed, and where there is a state apparatus ready and willing to crack down on any dissent such as strikes or demands for a higher minimum wage. From South East Asia to Latin America and Eastern Europe, conditions in fashion’s factories – where 85 percent of staff are women – are grim. In the factories of China’s Pearl River Delta forty thousand fingers are severed each year. In Cambodia, six striking garment workers were recently killed in protests aiming to raise wages up from $61 a month. 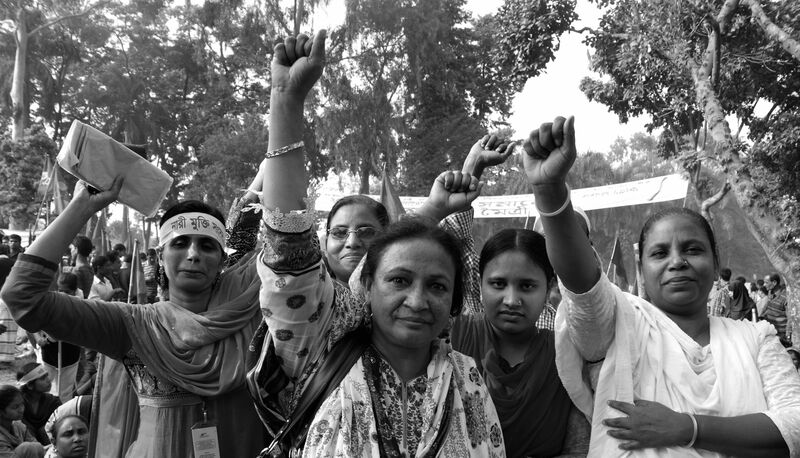 Garment workers in Bangladesh have just marked the one year anniversary of the Rana Plaza factory collapse. 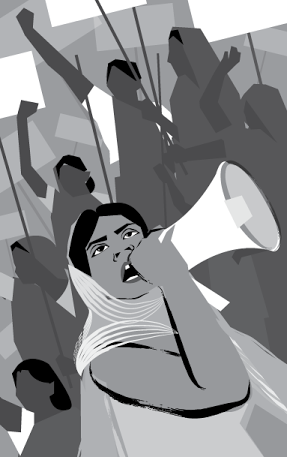 In one of the worst industrial incidents in human history, 1,138 garment workers in Dhaka were crushed to death and another 2,500 seriously injured when a recognised death-trap building containing garment factories collapsed. It was a building that Primark had twice inspected and certified as a safe working environment. In terms of production levels there is one clear winner of the global apparel export race, and that is China. The size of China’s fashion industry becomes apparent if you consider that the next six exporters (Turkey, Bangladesh, India, Vietnam, Indonesia and Mexico) produce just half of China’s output between them. This is despite the fact that China is no longer the cheapest place to produce apparel. Wages continue to rise slowly but manufacturers have stayed because China is a reliable source of quality goods. In April 2014, China experienced its largest strikes in recent history when at least forty thousand sports shoe workers at Yue Yuan in Guangdong province walked out over insufficient social insurance and housing payments. Yue Yuan is the world’s largest manufacturer of sports shoes, supplying Nike, Adidas and Reebok, amongst many others. In 1977, 31 million tonnes of textiles were produced worldwide; by 2007 this figure had risen to 80 million tonnes, the vast majority of which was destined for the fashion industry. This mammoth production requires 132 million tonnes of coal and 9 trillion litres of water. 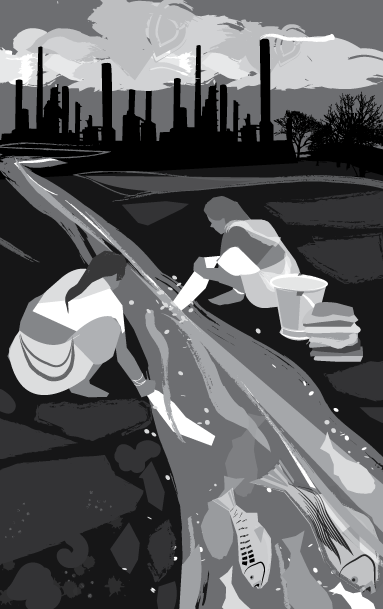 It is an intensely wasteful process that leaves nearly all the water unusable: the Chinese textile industry is ranked as the third worst water polluter of all China’s industries. This short-termist economic model of treating the environment as a free resource has been possible whilst oil and clean water supplies have been abundant. But as resources shrink and ecological flashpoints increase, fashion – and capitalism itself – can be seen as an economy of unpaid costs. Humanity’s ecological debt to nature is huge and, if nothing changes, may ultimately be paid back at a terrifying price. This became startlingly clear at the start of October 2014 when NASA announced that the Aral Sea in Central Asia had completely dried up. The Aral Sea was once the world’s fourth largest lake, home to twenty-four species of fish and surrounded by fishing communities and lush forests and wetlands. Whilst the lake was salt water, the rivers that fed it were fresh water. In the 1950s the Soviet Union began using the rivers to irrigate the surrounding agricultural area, a process that has been continued to this day by Uzbekistan’s brutal dictator Islam Karimov. The crop being watered is cotton – 1.47 million hectares of cotton. A hugely water intensive crop, one cotton shirt uses up to 2,700 litres. The exposure of the bottom of the lake has released salts and pesticides into the atmosphere poisoning both farm land and people alike. Carcinogenic dust is blown into villages causing throat cancers and repertory diseases. The harvest, which takes place each autumn, is another horror story. On top of the environmental devastation, this is cotton picked using forced labour. Every year hundreds of thousands of people are systematically sent to work in the fields by the government. In 2013 there were eleven deaths during the harvest, including a six year old child, Amirbek Rakhmatov, who suffocated to death after falling asleep on a cotton truck. The cotton crop provides President Karimov with the majority of his export earnings whilst his human rights abuses go uncriticised by such allies as the US and the UK. Having been processed and sold to manufacturers in Bangladesh and China, Uzbek cotton garments are sold in Europe and the US. The case of the Aral Sea is emblematic of fashion’s vampiric relationship with the planet. A relationship hidden behind a glitzy façade and by labels in clothing that tell us less than nothing about the providence of each item. 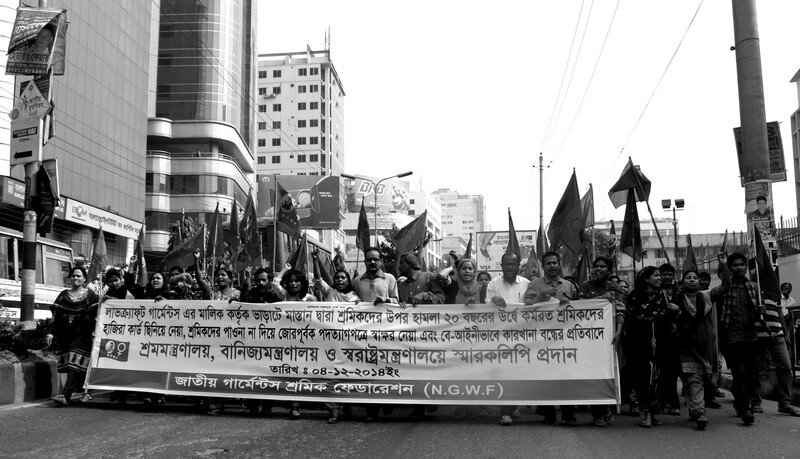 National Garment Workers Federation demonstration in Dhaka. Picture credit: author. Whilst this façade of creativity and choice hides the reality of production, it also hides fashion’s 1 percent – the corporations and CEOs who reap the benefits of the industry’s social and environmental degradation. Three of the Forbes ‘Top Ten Billionaires’ list are fashion retail moguls. The fourth richest person in the world is Amancio Ortega who as founder of Inditex, home of high street favourite Zara, has a fortune of $61.8 billion. At number eight is Christy Walton of the Walton family, owners of Walmart which makes annual profits of $17 billion. And at number ten is Bernard Arnault, owner of 60 luxury brands, who has a personal fortune of $35 billion. Also notable is number sixteen Stefan Persson, Chair of H&M, who has a net worth of $32 billion – with which he bought an entire English village in 2009 for £25 million. Global sales of luxury goods stand at $150 billion per year. Of this $150 billion, 60 percent goes to just thirty-five companies. Arnault’s corporation LVMH controls the most – from Louis Vuitton to Christian Dior, Givenchy and Marc Jacobs. Then there is Kering which owns Gucci, Saint Laurent, Alexander McQueen, Stella McCartney and so on. Whilst fashion appears to be an endless variety of options with which to craft and display your identity, this illusion disguises its unhealthy concentration in the hands of a narrow demographic. The same is true of the high street. Giant corporations own dozens of brands – many of which appear to be competitors. Arcadia, owned by tax-exemption billionaire Philip Green, controls Topshop, Dorothy Perkins, and Miss Selfridge amongst many others. Fashion magazines are also a multibillion-pound web of media brands monopolised by a few giant multinational corporations. The Condé Nast portfolio of media brands is the most striking, with Vogue, Vanity Fair and the journal Women’s Wear Daily amongst many others, but other conglomerates like Hearst and AOL have subsumed the rest of the market. Again we have an illusion of choice hiding media brands espousing the same values and owned by the same corporations. Whilst monopolies in other sectors cause prices to rise and standards to drop, what happens when our received ideas, culture and information are dominated by just a few companies? The ideas of the ruling class are in every epoch the ruling ideas, i.e. the class which is the ruling material force of society, is at the same time its ruling intellectual force… The ruling ideas are nothing more than the ideal expression of the dominant material relationships. Our wardrobes are the meeting point for two premises: that the fashion industry is responsible for widespread devastation and misery, and that it is our behaviour as consumers that is to blame. Clothing is presented to us as a question of individual choice. If you buy the ‘good’ clothes you are good, if you buy the ‘bad’ clothes you are bad. This mistaken method of viewing the world ignores all the factors that define ‘choice’ – the primary one being class. It also allows for an enormous transfer of blame. Emphasis on individual consumption means blaming the least powerful entities in the fashion equation. Thus sweatshops become not the fault of capitalism and giant multinational corporations, but of teenagers shopping in Primark. It is no coincidence that we have been steered into a dead-end of viewing clothing as an issue of the individual. This goes right to the heart of neoliberalism – a system that teaches us that empowerment comes from acting independently (not collectively), that freedom means variety in what we consume, and that we should trust in the system and shop (not fight) our way to a new world. It is a way of thinking that neatly obscures the role of capitalism – the same old economic system that has wreaked havoc on people and planet for centuries. It is a way of thinking with some obvious beneficiaries. Living neoliberalism in the early twenty-first century means being witness to an increase in corporate power accompanied by the idea that the opposite is true. The narrative today is that companies listen, that they can be tamed by consumer spending and be made ‘ethical’. A rhetoric of democracy acting as a screen for exploitation. As Naomi Klein explained in her seminal book No Logo: ‘every company with a powerful brand is attempting to develop a relationship with consumers that resonates so completely with their sense of self.’ Take for example the ‘green’ lines brought out by H&M or the feminist protest (or faux-test) staged by Chanel at the most recent Paris Fashion Week. From Rana Plaza to the Aral Sea there is irrefutable evidence of the toll the fashion industry takes on the world. This is the direct consequence of a deregulated, subcontracted industry grounded in the inequalities of capitalism. Yet pushing the idea that the same system that created this catastrophe is the one that is going to get us out of this mess, and that more shopping is what is required to free us, is the perfect route to ensure nothing ever changes. It is a solution more concerned with saving capitalism than saving the planet. 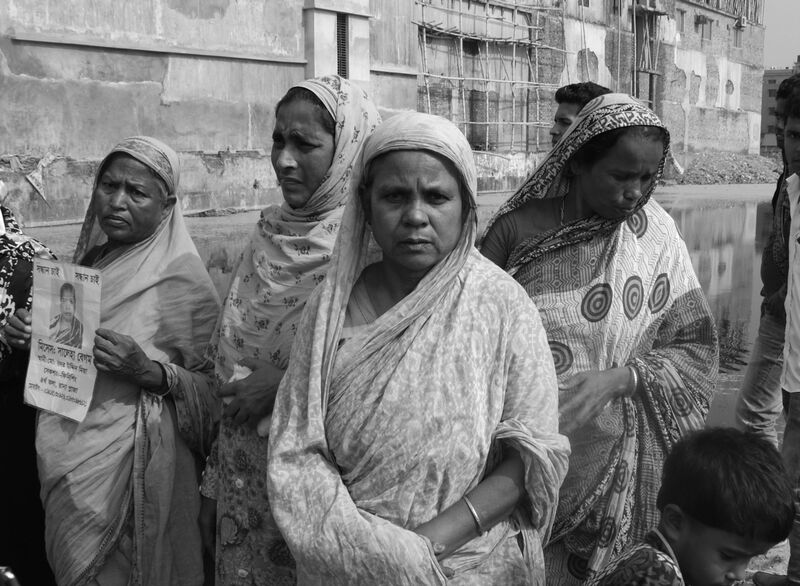 Mothers who lost their children waiting at the site of Rana Plaza. Picture credit: author. An author, campaigner and journalist, Tansy Hoskins writes for the Guardian, New Statesman and the Business of Fashion. Her book Stitched Up: The Anti-Capitalist Book of Fashion (Pluto Press, 2014) is winner of the ICA Bookshop Book of the Year 2014. As a political commentator she is passionate about discussing fashion, politics and change and has done so on Woman’s Hour, BBC Breakfast, BBC World Service and Channel 4’s Ten O’Clock Live. Giannino Malossi (ed. ), The Style Engine (New York: Monacelli Press, 1998), p. 68. Nicholas Barbon, A Discourse of Trade (London: 1690) <http://www.marxists.org/reference/subject/economics/barbon/trade.htm> [accessed 24 January 2015]. Gerard P. Cachon & Robert Swinney, ‘The Value of Fast Fashion: Quick response, enhanced design, and customer behaviour’, Management Science, 57.4 (April 2011), 778-95. Robert Ross, Slaves to Fashion: Poverty and Abuse in the New Sweatshops (Ann Arbor: University of Michigan Press, 2004), p. 103. Olivier Cattaneo, Gary Gereffi and Cornelia Staritz, Global Value Chains in a Postcrisis World: A Development Perspective (Washingdon, DC: World Bank, 2010), p. 159. 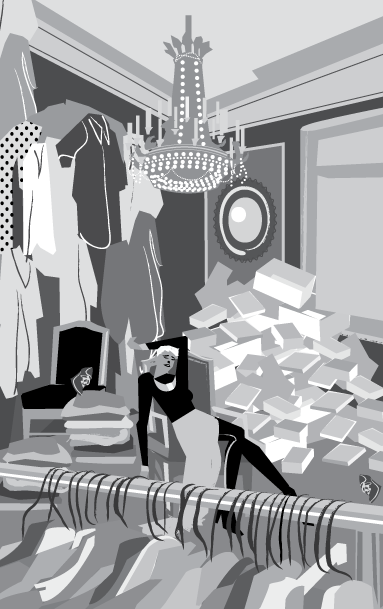 Lucy Siegle, To Die For: Is Fashion Wearing Out The World? (London: Fourth Estate, 2011), pp. 105-6. Institute of Public and Environmental Affairs (IPE), Beijing, China. John Bellamy Foster, Ecology Against Capitalism (New York: Monthly Review Press, 2002), p. 57. ‘The Aral Sea Crisis’, Environmental Justice Foundation <http://archive.today/QRrp> [accessed 24 January 2015]. ‘The hidden cost of water’, World Wildlife Fund <http://www.wwf.org.uk/what_we_do/rivers_and_lakes/the_hidden_cost_of_water.cfm> [accessed 24 January 2015]. ‘The Cost of Cotton: Dirty Cotton’, People & Planet <http://peopleandplanet.org/redressfashion/briefing/dirty> [accessed 24 January 2015]. R. T. Naylor, Crass Struggle: Greed, Glitz, and Gluttony in a Wanna-Have World (London: McGill-Queen’s University Press, 2011), p. 372. Karl Marx, The German Ideology  ( Moscow: Progress, 1968), see also <http://www.marxists.org/archive/marx/works/1845/german-ideology>. Quentin Bell, On Human Finery (London: Hogarth Press, 1947; rev. edn Allison & Busby, 1992). Juliet Schor, ‘In Defence of Consumer Critique: Revisiting the Consumption Debates of the Twentieth Century’, Annals of the American Academy of Political and Social Science, 611 (May 2007), 16-30. Naomi Klein, No Logo: No Space, No Choice, No Jobs (London: Flamingo, 2001), p. 149.